In the end his awesome talent just could not be ignored. So big-hitting Steven Bowditch found himself a captain’s pick for the Presidents Cup next month and the laid-back Queenslander admitted the prospect of winning the Cup made him feel humbled and excited about what lay ahead. Presidents Cup captain Nick Price opted for Bowditch and South Korean Sangmoon Bae as his captain’s picks for what is a powerful and in-form squad to take on the Americans. 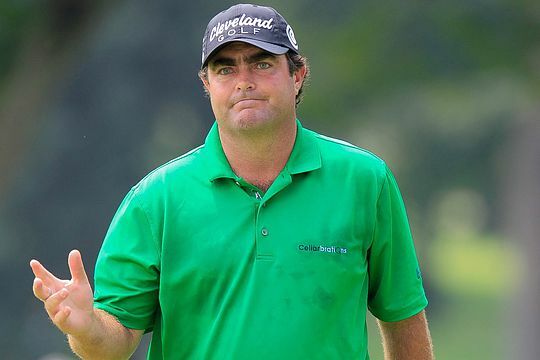 And while he has been on the cusp of being an automatic choice for the past few weeks, Bowditch’s form has shown a new-found consistency, buoyed by his success earlier this year in the Bryon Nelson Classic on the US PGA Tour. “I grew up playing a lot of match play, as we do in Australia,” said Bowditch. Bowditch agreed with his captain Price that the golf pros didn’t get to play team sport much. “And if I can go out there and just help anyone, whether it be a cheering squad or being with any of the other guys, I feel like I’ll be able to play and adapt to the way they play golf,” he said. Bowditch, 32, will definitely bring a lot to the International team. He is one of the PGA Tour’s longest drivers, one of the season’s best putters and leads the tour stats for scrambling from outside 27m, which is a pointer to his short-game prowess for foursomes and four-ball play. “It’s been a dream for a long while and it’s so exciting to be on a team led by Jason Day’s accomplishments,” Bowditch said. World No. 3 Jason Day, Adam Scott, Marc Leishman and Bowditch give the Internationals team a strong Aussie flavour while two more Aussies Matt Jones and John Senden were considered unlucky to miss out. UNITED STATES: Jordan Spieth, Bubba Watson, Jimmy Walker, Zach Johnson, Jim Furyk, Rickie Fowler, Dustin Johnson, Patrick Reed, Matt Kuchar, Chris Kirk and captain’s picks Phil Mickelson and Bill Haas.